Due to legal issues, we have to cancel the US Sense Deep Dive event. All bookings made will be refunded.! Don’t stay at the surface, follow us into the deep. Leave your Qlik Sense comfort zone and discover how much MORE you can do. Be part of our 3-day trip to Qlik Sense’ deepest depths. No round-trips: This is not an overview – we are going DEEP. No insularity: We are open-minded – Do you want additional content, speakers or topics? Do you want to join the speaker line-up? Let us know, we will do everything we can to make this trip perfect. 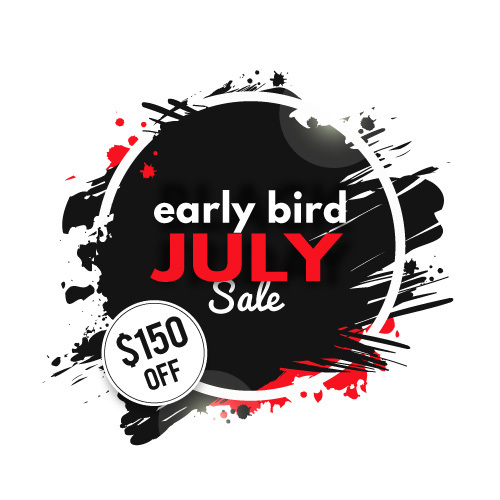 Do a deeper dive – register NOW for NEW YORK! 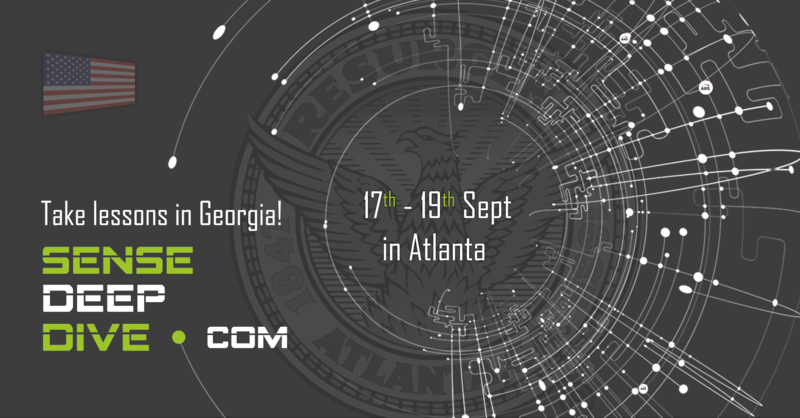 Do a deeper dive – register NOW for ATLANTA! Qlik is a brand, when it comes to model data, foster the understanding of logical associations via its iconic green-white-grey scheme and to visualize information. By introducing the Advanced Analytics Integration for Python and R in the June 2017 Qlik lifts its disruptive experience to new heights. From now on, it is possible to leverage advanced and predictive analytics in a real-time fashion and melt them with Qlik’s awesome capabilities. While there are a lot of courses and lectures out there focusing on Qlik and Advanced Analytics individually, this Sense Deep Dive is different! It is designed to teach the essentials for combining Qlik and R in a real-time integration and to get the most out of both cutting edge standards in data analytics. In a truly step-by-step approach, we start with the basic like installing and configuring Qlik, R and the Advanced Analytics Integration. Next, we review central concepts of Qlik and R and will implement simple examples. Then, we will make our way up to more complex use cases and learn how to implement different algorithms to solve a specific business case, learn how to use training and test data properly or to deal with problems like imbalanced datasets. Beyond that, we will learn how to visualize our analytical findings interactively and how to avoid common pitfalls. Also, we learn how to monitor and debug our solutions. Advancing forward, we will see how the progress in automated machine learning enables organizations and individuals to leverage Advanced Analytics on large scale by turning the Business Analysts into an Analytic Superhero. Finally, we will build our own project and use our (newly acquired) R knowledge to leverage its APIs for integrating our models with Qlik. So, with every new lection we build on what had already learned and move one extra step forward. After every diving session, we will introduce a new valuable concept, that you can apply right away in live examples. In summary, this Sense Deep Dive has been designed for Qlik developers und Power Users with a solid experience and practice, which want to increase the analytical value added by their solutions or are keen to start adding advanced analytics competences to their portfolio. Even with no deep statistical background or expert knowledge in R you will be successful on this deep dive, since the concepts and methods used are explained throughout the course! Qlik’s flagship product Qlik Sense is the modern standard of self-service analytics platforms. Designed by a mobile first approach, it can be accessed from any device by the responsive web client, developed in AngularJS, providing an easy to use drag-and-drop interfaces to create flexible, interactive data visualizations. Data analysts can explore data with smart visualizations that automatically adapts to the used parameters. Although many types of data visualizations are already shipped within the product, we’re more than lucky Qlik provides a plug-in mechanism to extend the visual UI by so called visualization extensions. Visualization extensions use the same set of technologies as standard Qlik Sense visualizations, and if developed properly, the handling of them is identical to standard visualizations. This Sense Deep Dive is designed to teach fundamentals of Qlik Sense visualization extensions and how to develop them. This includes to understand concepts of the used web technologies and frameworks like AngularJS and the necessary building blocks and components of an extension. Beyond that, you will learn how to use the given APIs for using data structures and how to integrate interactions. The deep dive will also give you insights into the Qlik opens source projects such as Enigma.js, the engine API wrapper, and how to adapt and implement them. But we will not stop here. We will teach you also our best practices and advanced technics like our own ready-to-go frameworks we’ve developed over the last couple of years. This Sense Deep Dive has been designed for Qlik developers with an intermediate web developer skillset, which want to increase their knowledge in extension development and speed-up their own projects. Intermediate knowledge in Qlik, intermediate knowledge in web technologies and frameworks, the curiosity to understand new approaches and the willingness to code a lot throughout the course. For years now Qlik is a leader in the Business Intelligence world. One reason for this success story is the associative model with its catchy green-white-grey colour scheme. Through filtering the user is guided down an analytical path inside the data. But how does it work and how can we optimize the analysis experience as a Qlik developer? This dive is designed to teach the fundamental understanding of a performance optimized data preparation within the Qlik universe. In several simple exercises the behaviour of the QIX-engine will be depicted. Easy to understand exercises leads to a clearer comprehension of what was taught. We will apply our knowledge through a challenging real world example. Therefore, we will load petrol station information with more than 100 million records. Using a wide range of functions, we will solve concrete problems with best practise examples. Additional semantic excursions of the RAM consumption will complete your knowledge as a Qlik developer. This dive is intended for Qlik developers who wants to push their Qlik knowledge to the next level. Intermediate Qlik developer knowledge or the developer and designer course. Qlik’s capabilities as a self-service analytics platform are well known. In times of digitization, data security and data management is a valuable good. Behind the scenes, the administration of all Qlik resources can be managed by the Qlik Management Console, the QMC. Administrators use roles to allow access of users to any resources like streams, apps and sheets etc. Fundamentally, these roles are based on security rules. The opportunity to disable standard rules, adapt them or even create new security rules enables the development of a customized security concept, which fits everyone’s appropriate needs. This dive focuses on the technical and conceptional understanding of the development of a security concept in a Qlik Sense environment. For this purpose, Qlik’s native ETL-tools in combination with the User Directory Connector (UDC) are used. Concrete use cases will be shown to develop security rules with best practice examples. In a step by step approach we will establish different user roles. Finally, we will have created an entire security concept. Furthermore, we will master an automated license allocation, the basic principles of security rules and how to audit them. The fundamental understanding of operators, functions, Custom Properties as well as the different security levels in the HUB and in the QMC will complete your knowledge as a Qlik Sense administrator. Intermediate Qlik developer knowledge and a basic knowledge in IT-administration or the curiosity and willingness to acquire them throughout the course. Qlik Sense is a fantastic platform for self-service dashboarding. Through its drag and drop interface, users can quickly assemble visualizations, enabling them to explore their data rapidly as they ask and answer question after question. With Qlik Sense's Extension APIs, we now have the power to integrate custom functionality and visualization directly into the Qlik Sense experience. This customization puts more power directly in the hands of users, allowing them to go above and beyond traditional analytics and use-cases while leveraging the ease of use of Qlik Sense's self-service model. Intermediate knowledge of Qlik Sense. Familiarity or an interest in basic web development concepts. 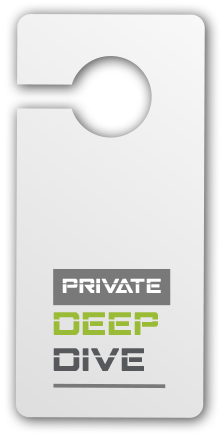 Do you want a private deep dive? After painting the town red at the Qlik jam session at the fireside of Resort Schwielowsee near Berlin last November, our Qlik Luminaries and especially Ralf have been encouraged to keep a stiff upper lip when bringing Sense Deep Dive to Jolly old England. A horse, a horse, a kingdom for a horse! Take the ALL INKL. Price! - Directly applicable knowledge that makes you better, harder, faster and stronger! - And incl. 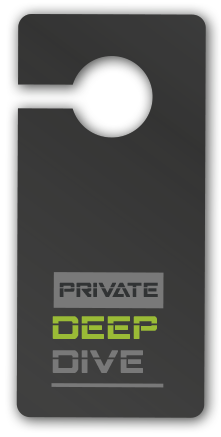 a VIP Admission ticket for special events after the Deep Dives! Ralf is Principal Big Data and Business Intelligence Consultant at TIQ Solutions as well as multiple "Qlik Luminary". After years of Data Warehousing and OLAP he started his company TIQ Solutions in 2004 and begun to work with Qlik in 2006. Qlik’s mind blowing in-memory technology has embraced his live almost entirely. After getting to know all the normal and dark corners of the products his interests shifted to solve the weirdest requirements within Qlik scripting, data modelling and also extensions. Thinking out of the green box and remix, extend or integrate Qlik with other technologies is his most pleasure. Data hacking and an unconventional data punk attitude has helped him to create new astonishing solutions. Sharing his experiences, ideas and concepts has been a great value for the community over the last years. Being a trainer for Qlik extension development is a result of his enthusiasm about Qlik Sense’ new platform approach and the undiscovered integration possibilities. Speros Kokenes is the Visual Analytics Practice Lead at Axis Group and a "Qlik Luminary". He leads an interactive design and development team that focuses on developing uniquely creative solutions to data analytics problems. 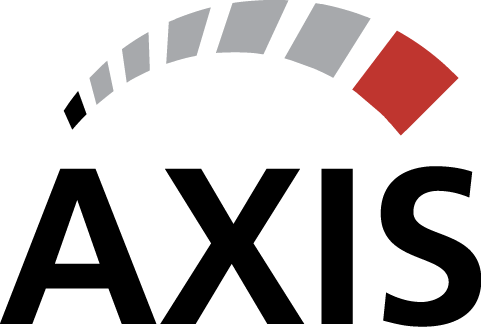 Through a combination of UX design principles and web visualization expertise, the team produces highly useful and desirable applications that have won multiple awards from Qlik. Speros is passionate about the open web and how it can be integrated with the power of Qlik to deliver high impact analytics. He loves to explore the art of the possible and bring back what he finds to the community by [producing tutorials, tools, and demos] ( http://dataquarium.io) that help others get going. He is also an avid speaker, sharing his views and insights on the Qlik APIs several times for Qlik Dev Group and at Qonnections. Konrad Mattheis is the CTO and BI-specialist for akquinet. According to his tried and true motto “unconventional, but unbeatably smart” he architects and, with his team, implements numerous BI-solutions for large and small companies in various sectors. Before coming to akquinet, Konrad was the founder and CEO of several companies within the IT and electrical engineering space. For the last three consecutive years he has been distinguished as a “Qlik Luminary”. 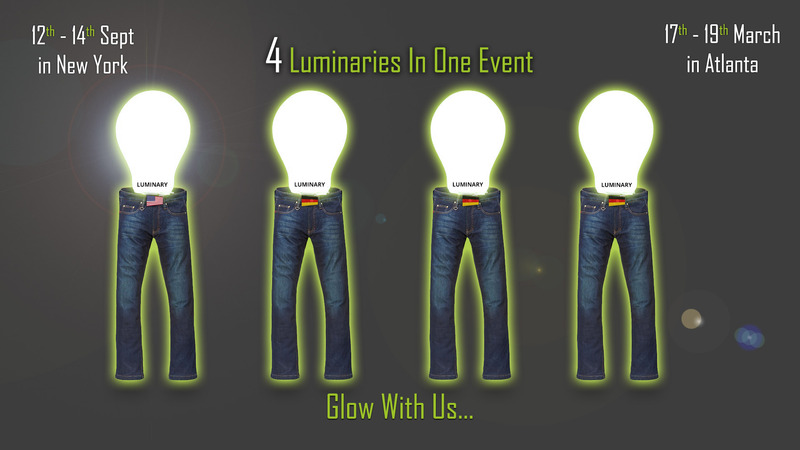 The “Luminary” title is awarded by Qlik to honor extraordinary and visionary members of the Qlik community. As Qlik-guru Konrad developed a very successful Qlik Sense Add-on called Sense Excel, which has been added to the product portfolio of many Qlik partners worldwide. His leading role within the German Qlik Dev Group is a further proof of his commitment to the Qlik Business Intelligence community. Alexander is a Business Intelligence Consultant and Solution Architect at akquinet as well as a “Qlik Luminary”. With a background in social science research, he has “Green Blood” since he was introduced to Qlik in 2010. As a certified Qlik Developer and project manager he has led various implementations of the platform and developed a lot of applications for a wide range of areas. Being a Qlik trainer for years, Alexander feels especially happy, when customers experience their “Qlik” moment during a training and as a result, become proficient, independent and highly motivated users of the Qlik platform. Keen on scientific methodology and statistical analysis, Alexander is super excited about the new horizons opening with Qlik’s Advanced Analytics Integration for R and Python. He is even more intrigued by latest advancements in automated machine learning, which turn Business Analysts into Analytic Superheroes and empower organizations to solve real-world problems effectively and extract value from their data easier than ever before. Consequently, Alexander hopes that the spark of “qlik2predict” jumps over across all participants of the deep dive. Since the very beginning of Qlik Sense, Robert is a Business Intelligence Consultant at akquinet . When the new era of Qlik was introduced, Robert was infected by the immense potential of Qlik Sense. He is also a certified Qlik Developer and project manager who implemented role based security concepts and developed various applications in numerous business sectors. As an educated physical engineer Robert wants to discover Qlik’s power in depth. For this reason he asks himself questions like: “What is underneath the surface?” He is excited about to show advanced script techniques and in particular how does Qlik’s analytical power work. Another advantage of Qlik Sense is the new platform strategy and the usage of security rules for the resource management in Qlik Sense. He is glad to show you these concepts in depth. Are you ready for the Qlik Sense deep dive?